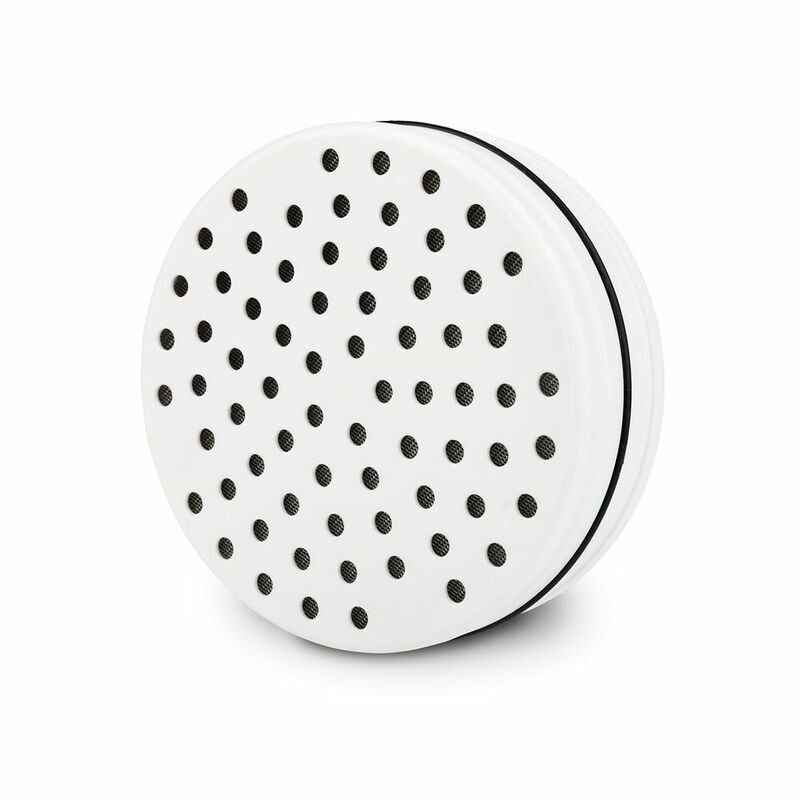 Replacement filter for the VivaSpring Filtered Shower Head. Reduces contaminants like chlorine, lead, and mercury. Experience smoother skin, healthier hair, allergy relief, and more with filtered shower water. Conventional fragrance products and plug-in deodorizers often mask odours instead of eliminating them. The easy-to-replace 6-month active carbon deodorizer cartridge ensures that all bad odours and smells are neutralized at the source, leaving your bathroom fresh and clean. The Brondell replaceable deodorizer cartridge is compatible with all Swash 1400 electronic bidet toilet seat models. Please note: this cartridge is not compatible with Swash 1000 bidet seat models. 5 micron 10 inch x 4.5 inch CTO Carbon Block Filters Product Highlights - Individually wrapped, packed in 4 pcs per carton - Dimensions: Length = 10 inch, O.D. = 4.5 inch, I.D. = 1-1/8 inch - Flow rate: 5-7 GPM - Filter life: 20,000 Gal. - Operating Temperature: 390F~1250F (40C~520C) - Max. Operating Pressure: 60 psi - Removes dust, particles, and rust - Good for water filters and aquariums. Applications - Food and beverages - Reverse Osmosis Pre filtration Oil and gas - Fine chemicals - Electronics - Metal finishing - Pulp and paper Why Purchase From us - Honest seller, more than 2,500 positive feedbacks on eBay - Free tech support before and after sale - Ship from Atlanta warehouse daily. Only 2-day transit time for most states in Eastern Time zone and part of Central time zone (including Texas). FCRC25B can be used as the 2nd stage for 20 inch BIG BLUE whole house filters. It is constructed completely from FDA grade materials and media. It removes lead and other heavy metals from the feed water and demonstrates a capacity of 2500 PPM Gal. even in hard water. FCRC25B can also be used to remove iron with exhibited capacities for iron in excess of 5000 PPM Gal. This can eliminate iron fouling and remove metallic tastes in drinking water caused by iron, copper or galvanized pipes. Other metals removed by FCRC25B include potassium, cesium, magnesium, calcium, strontium, barium, radium, chrome +3, manganese, iron, nickel, copper, silver, zinc, cadmium, mercury, aluminum, tin, and lead. Now you can repair a selection of Single handle luxury Tub and Shower faucets easily and economically with the JAG PLUMBING PRODUCTS replacement cartridge. This part fits a number of brand's rough ins that are labelled "Tempress II" that have an O-Ring wrapped around the body of the cartridge. Experts in the field of non-OEM repair parts; JAG PLUMBING PRODUCTS offers customers a selection of economic solutions for their every-day home plumbing repairs. The Team at JAG PLUMBING PRODUCTS scours North America to bring The Home Depot customers unique, hard to find parts of the highest quality. Filter Replacement Cartridge for VivaSpring Showerhead Replacement filter for the VivaSpring Filtered Shower Head. Reduces contaminants like chlorine, lead, and mercury. Experience smoother skin, healthier hair, allergy relief, and more with filtered shower water. Filter Replacement Cartridge for VivaSpring Showerhead is rated 5.0 out of 5 by 2. Rated 5 out of 5 by Stella7 from Amazing product I had terrible egg smell from my hot water especially awful to have a shower and smell like rotten eggs. I bought the VivaSpring shower head with the carbon filter in the head and instantly no egg smell. Thank you.